I am speaking on Project Server Conference 2012, in Phoenix. My presentation - "Management of Project Server 2010 environment configurations, migration and documenting of configurations settings"
Sometimes, when users delete projects, they forget to check the checkbox to delete Project Site. Please find a video how to delete Project Sites when projects were deleted and Project Sites are not. Project Sites in Microsoft Project Server 2010 - What is missing? In many of our Project Server 2010 Implementations we see that people are not using project sites to the full extent. Most store documents, risks and issues - but usually that's all. Is that a lack of knowledge how to use sites? Is that a lack of functionality? What is missing there to make Project Site an important and useful instrument for team collaboration? In next posts I will try to provide a series of posts and videos abount working with Project Sites and Templates, customization and management. Please visit www.fluentpro.com/products.html to see videos on each product and learn more information. Products are available for purchase from our website. Cloud. When Project Server and SharePoint will be there? I was surprised by "cloud first" approach for government. This is extremely good push for the cloud companies and if government goes to cloud - big companies will follow as well into both private and public clouds, and we will see decreasing number of on-premise deployments. The problem I see is that every company uses "cloud" as they understand it..and often it is just a marketing buzz for the "reshaped" old infrastructure. In our practice - we tired of on-premise deployments, permissions, limited access, non-standardized configuration and troubleshooting all that. We want to go to some centralized and standardized model - it will make our life easier and products more stable. 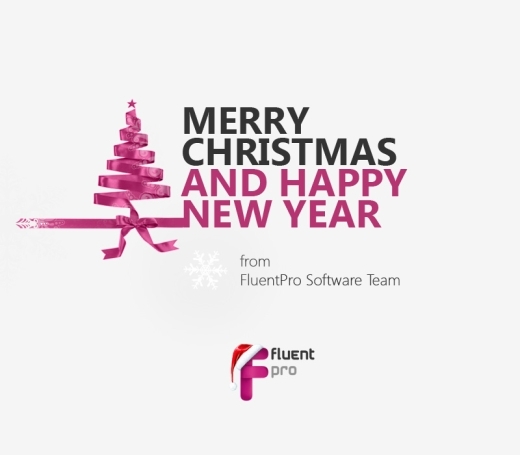 FluentPro View Manager - this is an update (v.2.0) of our existing product that allows to customize Project Server 2010 and link views to EPT and user security group membership and define default views to load. Enjoy - and we would be happy to hear your feedback! Today FluentPro received Silver Project and Portfolio Management competence in Microsoft Partner Program. Today, I've recorded sample video to demonstrate how to merge configurations from 2 Project Server 2010 PWA with help of our product - FluentBooks. Enjoy the video! If you have any questions / suggestions - let us know, we would love to hear your feedback. Please find short overview of FluentPro PDP Manager, software that allows to customize look and feel of fields on your PDPs. Automate project status report generation. Capture all informaiton in project server and send ready report to your manager in seconds. Users can print their Timesheets and assignments; Project managers can do the same for themselves and their teammates. Software is converted into SharePoint job instead of utility that was run on schedule with task manager. Ability to define rules for Schedule PDP which view to load automatically depending on EPT and user Group membership. This is our brand new new product that our beta-testers LOVE; Now you have full control to control look and feel of your PDPs: change field name captions, descriptions, colors, font size and visibility of fields on PDP with support of edit mode / view mode and rules that can be defined to support different EPTs. As mentioned in previous blog post, our product - FluentBooks - software to manage migration, merge and comparison of Project Server 2010 configurations will be released for limited Beta-2 testing. If you are interested - we still have 2 open slots. We will make additional announcement on day you can purchase products from our website.